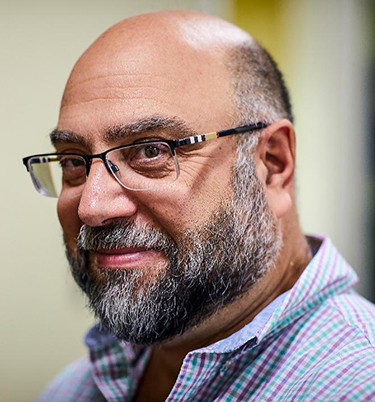 Visual leader, conveniently located between New York City and Philadelphia, Jim is a sought-after photo consultant, photo editor, director and producer. He has consulted on a variety of projects with in-house marketing departments, design and advertising agencies and independent photographers. In addition, Jim mentors emerging photographers by curating new assignments and providing instruction to improve their production skills. He also works with established photographers who are looking to update or build new websites and print portfolios to showcase their best work so that they can attract the attention of new clients and improve their place in the market. "Collaboration between creative professionals is the best way to create sophisticated and compelling imagery, is a philosophy that I have adopted and applied to all aspects of my professional career." Jim has contributed to advertising, promotional and editorial projects for domestic and international media/publishing companies. He has acquired a wide range of skills that include account management, photographer relations and photographic usage rights. His well-rounded talents and willingness to apply his skills to new and creative projects make him a valued contributor to your project or company. Please contact me for a free 15 minute consultation! Proficient in Photoshop, Lightroom and GlobalEdit programs. Stockfood America (recipe development from existing photos), Lehigh Valley Chamber of Commerce (video production), CF Martin & Company (usage rights consulting), Olive With A Twist (product photography, online marketing, and recipe development), Scott Hewitt, Photographer (website curation and promotional marketing). Book Editorial: Sound Mind Sound Body, South Beach Diet Series, Dr. Shapiro’s Picture Perfect Weight Loss, The History of Martin Guitar & Co., 8 Minutes in the Morning. Vegetable Still Life (first in a series of three). Used in a promotion for Rodale Inc. James A Gallucci, Producer/Director. Photo by © Thomas MacDonald/Rodale.